Relieving? I know, it sounds crazy. 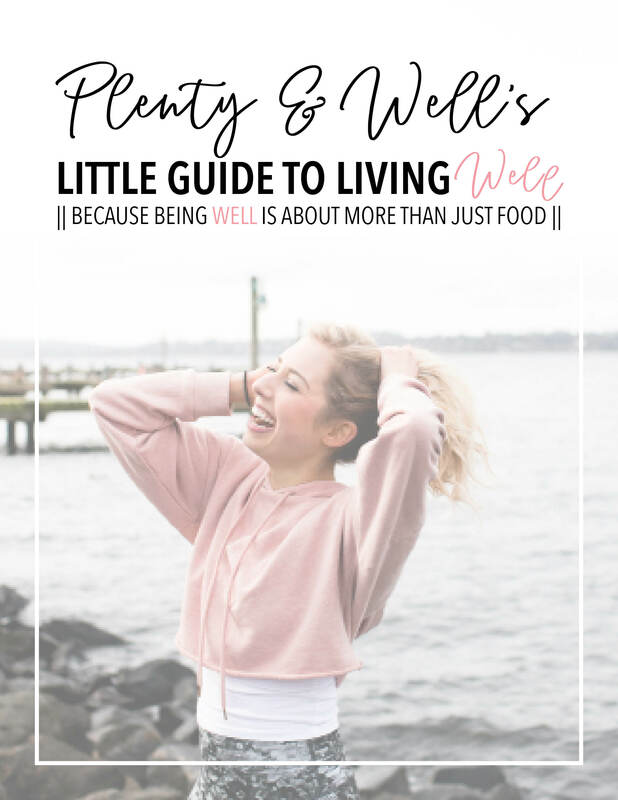 But after struggling with gut health issues for as long as I could remember it felt like a huge weight had been lifted off of my shoulders knowing what was going on in my body. I no longer felt like I was stuck in the dark, unable to help myself. Knowledge is power and finally knowing I had ulcerative colitis meant I could take steps to feeling better. Before diving in to the questions, I want to make sure ya’ll know I do manage my ulcerative colitis with a mixture of medication and diet (along with other holistic approaches). This is what works for my body and the severe ulcerative colitis I have and I truly think this journey is so individual for each of us! With that, the following 30+ questions are all questions that were asked by my amazing Instagram followers and I hope they can help some of you feel less alone if you’re also struggling with IBD. If you’re not, then I hope this can give you a realistic glimpse into what it is like to struggle with this chronic illness. I broke them up into categories so a couple of the questions are doubled up in case someone jumps to a specific section. As always, if you have further questions feel free to contact me on the contact page on my menu bar! Were they able to diagnose your UC with the first colonoscopy? Yes, I was! Well, sort of… at first they thought I had mild Crohn’s disease, another form of IBD, but then a few months later they had me do a blood test that discerns between ulcerative colitis and Crohn’s and it showed ulcerative colitis instead. It was diagnosed as a mild case (proctitis – which is more localized), but after my big flare in the summer of 2018 and my second colonoscopy it showed severe ulcerative colitis and my entire colon was inflamed. How many times did you have to go to the doctor to get a diagnosis? I went quite a few times but honestly, I didn’t take it too seriously at the onset of all of my gut issues so it’s truly my own fault I didn’t find out earlier. When I finally made the call to get a colonoscopy after my symptoms got really bad on a trip in Europe with my family, it was pretty quick to get my diagnosis (besides them wrongly diagnosis it as Crohn’s at first). What are your early symptoms for a flare? Stomach/colon Pain, fatigue, increased trips to the restroom and (sorry for TMI) blood in stool. It’s also important to note the mental impacts of a flare. Even if physical symptoms aren’t horrendous, it can greatly impact your mental health. For me, I experience severe anxiety, depression and feelings of insecurity. I usually want to be secluded and feel very antisocial. It’s a scary disease and just knowing your body is waging war on itself can make your mind run wild. Just know, if you are feeling these things, you aren’t alone and just because your flare may not physically be “that bad” doesn’t mean your thoughts and feelings aren’t validated. Also, if you’re experiencing extra pain or extra trips to the restroom but don’t know if you’re flaring, you can always ask your doctor if you can get testing done to check your inflammation levels to see if you’re flaring. This can be done through a stool calprotectin test. What kind of tests should you ask for with massive bloating and stomach pain? If you think you potentially have IBD you can start by doing a calprotectin stool test (mentioned above) through a gastroenterologist, which measures inflammation. If it shows elevated inflammation, then it would be smart to get a colonoscopy done to see if you have IBD (ulcerative colitis or Crohn’s disease). How long did it take you before becoming symptom free after starting the SCD diet? I actually have always been on medication in conjunction with dietary changes! My first medication + the Specific Carbohydrate Diet worked for about 7-8 months before symptoms showed back up. My newest medication took a few weeks to kick in and worked well for about 6-7 months. I have also, no matter what, always still had some stomach pain and bloating, even while medication is working for the inflammation and bleeding (the biggest things I care about getting under control). This may also just be due to my food intolerances, etc. Thoughts on celery juice for gut health? Factual or myth? I haven’t done much of my own research on this so I can’t speak to it very well! I sometimes I enjoy celery juice in the morning because it feels refreshing and I feel like it has somewhat made my stomach feel more settled in the morning, but I don’t think it’s an end-all-be-all for gut health. Gut health is about so many little steps adding up – quality food, good probiotics, etc. You can read more about this fad on Medical Medium, which is where everyone goes to learn about celery juice. What is SCD and why is it good for ulcerative colitis? Why did you decide on SCD instead of AIP? For those that don’t know, AIP stands for Autoimmune Protocol Diet. I mainly chose SCD because it was created specifically for ulcerative colitis and my mom had dabbled with it when we were younger, so she was able to help me understand it further in some ways. Now looking back AIP is also a great option because it focuses more on nutrient-dense foods. Also, SCD typically also includes a homemade SCD-friendly yogurt daily, but I am also lactose intolerant so I could never follow that portion of the dietary protocol. This article explains SCD vs. GAPS vs. AIP really well. I also can’t imagine not eating eggs, nightshades or any nuts/seeds (which AIP doesn’t “allow”). As much as I will do anything to help my gut, I’m not ashamed to admit that that would be taking it one step too far for me! When you’re in a flare, do you eat solids or stick to just liquids? If you do eat, what’s your go-to? It depends on how bad of a flare it is! My flare in 2018 got horrendous and I could only eat liquids without gut-wrenching pain (but even those hurt), so I stuck with clear liquids. With less symptomatic flares I don’t go fully liquid, but I try to eat easy-to-digest foods. I eat soups, cooked veggies and fruit only, smoothies, etc. I cut out all raw fruit, veggies and greens, as well as full nuts, dried fruits and other difficult-to-digest foods. If you eat inflammatory foods like beans or legumes or fibrous foods like brown rice, I would cut those out for a while too. Do you have celiac disease as well or does eating gluten free just help with your UC symptoms? I don’t have celiac disease but stopped eating gluten about 4 years ago when I started experiencing bad stomach issues and noticed a bad reaction every time I ate gluten. I accidentally took a bite of non-gluten-free bread in Europe a few years ago (right before my diagnosis) and got horrendous stomach pain and bloating. I had been wanting to re-experiment with gluten, so that worked as my accidental experiment! This article explains the differences between celiac disease and gluten sensitivity and also how gluten sensitivity and IBD interrelates. I actually have always been on medication in conjunction with dietary changes! My first medication + SCD worked for about 7-8 months before symptoms showed back up. My newest medication took a few weeks to kick in and worked well for about 6-7 months. How and when did you broaden your diet from strict SCD? I was on strict SCD august 2017 (when I was first diagnosed) – July 2018 (after my big flare). It seems counterintuitive to go off of strict SCD after a big flare, but I realized being so strict on SCD was making me reach for way too many nuts and raw veggies to snack on because I felt so limited. This in turn was really difficult to digest and didn’t help my pour colon. Adding back in things like rice cakes (other than that I’m still grain-free) and sweet potatoes, which are easier to digest, helped me from continuously snacking on nuts and raw veg. I also added back in cacao as one of the first things because I honestly was just so sad without it! That was partly my motivation for adding some foods back in too – I felt so restricted that it was making me a little crazy. I still stick to most of SCD (no grains, gluten, soy, refined sugar, natural flavors, added gums, sugar alcohols, etc.) and I also don’t eat legumes or dairy because of my own experimentation that found they don’t work for my tummy. But being able to enjoy rice cakes and cacao have honestly been a game changer! When adding foods back in my biggest tip is do it slowly and one at a time. Doing it one at a time helps you see if that food causes issues or not. If you add in too many at once, your body may just react adversely because it’s too much newness, and you won’t be able to pinpoint which food caused the symptoms. Typically, I would also wait to add foods back in until you aren’t experiencing symptoms, but since I wasn’t relying solely on SCD to keep my UC at bay, I felt comfortable exploring more. If you feel nervous adding foods back in you can also work with a naturopath or holistic nutritionist or health coach to help the process be a little easier and less scary. Do you feel like you need a combination of strict diet and medicine? As of right now, yes. I would love to be medication free one day, but for now my ulcerative colitis is far too severe and I won’t risk going back to the hospital or needing surgery. Diet is a HUGE component for me too though. My digestion and bloating and pain is hugely subsided when I eat in the way that I know works best for me. Some individuals with IBD don’t care about diet and only rely on medication, but I always say – if a disease is impacting your digestive tract, why wouldn’t you focus more greatly on the foods you’re letting through that tract? What are your Thoughts on treating with medication versus diet? I think this is a very personal decision! Just because I cannot control my UC right now with just diet, doesn’t mean someone else can’t – I know plenty of people who do. I also know plenty of people on stronger medication and higher doses than me though as well. I talk a lot about Western medicine shaming in my comprehensive post I did about what I learned from my ulcerative colitis hospitalization. Favorite place to shop for food online? Stomach/colon Pain, fatigue, increased trips to the restroom and blood in stool. It’s also important to note the mental impacts of a flare. Even if physical symptoms aren’t horrendous, it can greatly impact your mental health. For me, I experience severe anxiety, depression and feelings of insecurity. I usually want to be secluded and feel very antisocial. It’s a scary disease and just knowing your body is waging war on itself can make your mind run wild. Just know, if you are feeling these things, you aren’t alone and just because your flare may not be “that bad” doesn’t mean your thoughts and feelings are validated. Also, if you’re experiencing extra pain or extra trips to the restroom but don’t know if you’re flaring, you can always ask your doctor if you can get testing done to check your inflammation levels to see if you’re flaring. This can be done through a stool calprotectin test. What helps you when you start to flare? Eating foods I list in the below questions and avoiding the foods I also list below (think easy to digest foods). I also make sure to stay super hydrated, get extra sleep, cut out caffeine and alcohol, practice a lot of self-care and listen to my body super closely. Making sure your stress stays low is also huge! Whether that’s through meditation, taking baths, etc. just try your best to let the stress go. If your flare is pretty severe, I would switch to either no exercise or very low impact like yoga, pilates or barre. It depends on how bad of a flare it is! My flare in 2018 got horrendous and I could only eat liquids without gut-wrenching pain (but even those hurt), so I stuck with clear liquids. With less symptomatic flares I don’t go fully liquid, but I try to eat easy-to-digest foods. I eat soups, bone broth, cooked veggies and fruit only, smoothies, etc. I cut out all raw fruit, veggies and greens, as well as full nuts, dried fruits and other difficult-to-digest foods. If you eat inflammatory foods like beans or legumes or fibrous foods like brown rice, I would cut those out for a while too. How do you balance ulcerative colitis and being productive during flares? My biggest tip is not expecting so much from yourself and not putting too much pressure on yourself during flares. Flares can be so up and down and one of the most difficult parts of them is the fatigue. I always make sure to make more doable and smaller to-do lists that I know won’t overwhelm me. It’s difficult because I love feeling productive and I’m a workaholic by nature (not saying this is a good thing), but stress is literally one of the worst things for you if you have IBD (and is one of the main reasons I think my last flare was so bad). I also make sure to put extra self-care on my to-do list because it’s one of the most productive things you can do for yourself during flares. Give yourself extra grace and be okay not being as productive. What matters is feeling better and taking care of yourself! How do you balance natural and conventional medicine? I have always taken conventional medicine out of complete necessity, but natural and holistic approaches resonate more with me, so I do both! Although I’m on a serious medication due to the severity of my UC, I also do things like acupuncture, eating well/anti-inflammatory foods, cutting out caffeine (besides the bit in Four Sigmatic mushroom coffee), rarely drinking alcohol, exercising, trying not to stress too much, etc. I think these things definitely help me physically, but more importantly they help me mentally. Do you feel like you need a combo of strict diet and medicine? As of right now, yes. I would love to be medication free one day, but for now my UC is far too severe and I won’t risk going back to the hospital or needing surgery. Diet is a HUGE component for me too though. My digestion and bloating and pain is hugely subsided when I eat in the way that I know works best for me. Some individuals with IBD don’t care about diet and only rely on medication, but I always say – if a disease is impacting your digestive tract, why wouldn’t you focus more greatly on the foods you’re letting through that tract? I think this is a very personal decision! Just because I cannot control my UC right now with just diet, doesn’t mean someone else can’t – I know plenty of people who do. I also know plenty of people on stronger medication and higher doses than me though as well. How do you feel about starting a different medication? Will you likely be starting an infusion medication? Honestly, I’m nervous as hell (for reference and because I know I’ll be asked – I was on Lialda pills when I was first diagnosed, then I switched to Humira shots every other week when Lialda stopped working, and now I’m switching to a new medication because Humira has stopped working as well). I’m nervous because two medications have already stopped working for me and I’ve experienced uncomfortable side effects from Humira (mostly emotional/mental-health related but also physically-related). I am hopeful that a new medication will work better and won’t come with as much baggage. I am looking into an infusion medication (entyvio), but will be meeting with my gastroenterologist soon to discuss further! Although an infusion at the hospital sounds intimidating and annoying, I will do whatever it takes to get my healthiest self back! If you started biologics what pushed you to feel comfortable to do so? It can be scary to know you’re putting something so powerful in your body, but I truly had no choice this summer. Being hospitalized for ulcerative colitis was life-changing in many ways and laying in that hospital bed after already being bed-ridden for weeks before, unable to eat solid food and in incredible pain and suffering I didn’t even think twice about choosing a biologic. I had heard a lot of success stories with it and my gastroenterologist supported the decision. I knew biologics could get my life back and that’s all I wanted at that point. Humira, for the most part, worked great (while it lasted) and although my side effects were frustrating, I didn’t get any of the scary ones listed (which I’m so thankful for). A big tip I would have would be to educate yourself on the side effects so you know if there’s something you should contact your doctor about, but not to read too much into it. I noticed if I read too much about what could happen I would totally freak myself out which would cause stress which isn’t good for UC. If you’re curious how a biologic like Humira works, this article explains it further. In a nutshell, it attaches to TNFa (which is in over-abundance with UC) and blocks its inflammatory actions. What are your tips on explaining food limitations to others without telling your whole life story? This is such a good question! It’s definitely hard to balance being truthful and honest with others (mainly to protect your own health), with not bombarding someone. I’m at such a comfortable place with my disease that I don’t really think about telling someone right off the bat, but I get that not everyone is that way. You can start by simply telling a new friend, a family member you don’t see often or a prospective significant other that you have dietary restrictions due to medical needs. It’s true but doesn’t make you explain what UC is, how long you’ve had it, etc. If you act like it’s casual, chances are the other person will too! With that being said though, don’t hold back telling someone you have UC because you’re afraid of what they will think. Having open communication with friends, family and significant others is KEY because it ensures that you don’t get into any sticky situations and they know how to better support you. Having UC is nothing to be embarrassed about and if someone does get weird about it, then that isn’t someone you want in your life! How do you handle ulcerative colitis and dating? Another super good one and quite related to the above point. A lot of first dates revolve around food so it typically comes up that I have special dietary needs which leads into the fact that I have ulcerative colitis. Also, because my own health issues are largely connected to my job and passions in life, it’s just a really integral part of my story when dates ask about my job, why I wanted to be a health coach, etc. I never feel weird about it anymore! It’s honestly up to your judgement if you tell a date or not, but if you can see it going somewhere I think it’s best to tell them. That way they know, once again, how to support you. I have ulcerative colitis and was just told that I also have SIBO!? Any tips!? I would definitely see a naturopath or naturopathic dietician/nutritionist! You can take antibiotics to get rid of SIBO, but that can do damage to your gut which you may not want to do with UC. I would try to heal the SIBO through diet. Here’s a discussion about SIBO and IBD that may be of interest! Any advice for an emotional eater when it comes to staying on a strict diet? This is toughy. I have never been an emotional eater, so I cannot speak from experience, but I would say trying to get to the root of the emotional eating first. Start by seeing a counselor or therapist to find the root cause and work on healing that relationship with food. Seeking that help is nothing to be ashamed of! If you know you still tend to eat more when emotional, make sure to not have food lying around that doesn’t adhere to your healing diet. Make sure you’re stocked up on foods that you CAN eat, so if the emotional eating strikes you don’t hurt your tummy too. Have you suffered from bad acne from ulcerative colitis? I haven’t so I can’t give much advice on this topic! Here is an article from the Crohn’s and Colitis Foundation about common skin conditions associated with IBD. What is one thing you absolutely can’t live without for your ulcerative colitis? Probiotics and exercise! Although the results of testing about probiotics and UC are a little all over the place, my idea is that I will do anything to help my gut health and introducing more healthy bacteria is a first step. I notice greatly if I go too many days without it (say if I forget to pack it while traveling) I have increased bloating and pain. I like this Garden of Life probiotic specifically for colon health or this Garden of Life raw woman’s one. Exercise is huge for me because it helps me feel like I’m in control of some of my health, even when a lot of it is out of my hands. It also helps immensely with my mental health and mood. Like I’ve said, this disease can take a big toll on your mental health, so having exercise as an outlet is so helpful for me personally. There are also numerous studies about the benefits of working out when you have IBD. This study explains some findings well. With that being said, when I was flaring horribly, exercise was definitely unable to happen (I could barely even walk). It’s about finding balance and making sure you’re making decisions around exercise that truly honor your body and where it is on a daily basis! IBD (irritable bowel disease) is often confused with IBS (irritable bowel syndrome). IBD included ulcerative colitis and Crohn’s Disease which are both autoimmune diseases. IBD causes chronic inflammation and ulcers throughout the digestive tract (ulcerative colitis targets the colon while Chron’s Disease can target any part of the digestive tract). It causes actual damage in your insides and is not curable. IBS on the other hand is a blanket statement for irregular digestion. Your digestive tract is physically healthy, but it just doesn’t always function super well.